Dr. Halle helped found MIT’s linguistics program, one of the most important in the world, and played a key role in bringing to the faculty Noam Chomsky, who became one of the field’s most significant figures. To generations of linguistics students at the Massachusetts Institute of Technology, Morris Halle would say: “Argue with me” — usually an exclamation, rather than a soft request. No mere challenge to intellectual debate, his oft-repeated refrain was an invitation to become part of the discipline’s history. Dr. Halle “treated us as individually responsible for the future of our field,” Donca Steriade, an MIT linguistics professor, told MIT News. Dr. Halle, who was 94 when he died of congestive heart failure Monday in the Youville House assisted living residences in Cambridge, was himself a solver of daunting puzzles in linguistics, the study of language and its structure. An MIT institute professor emeritus, he was considered one of the field’s most influential scholars. 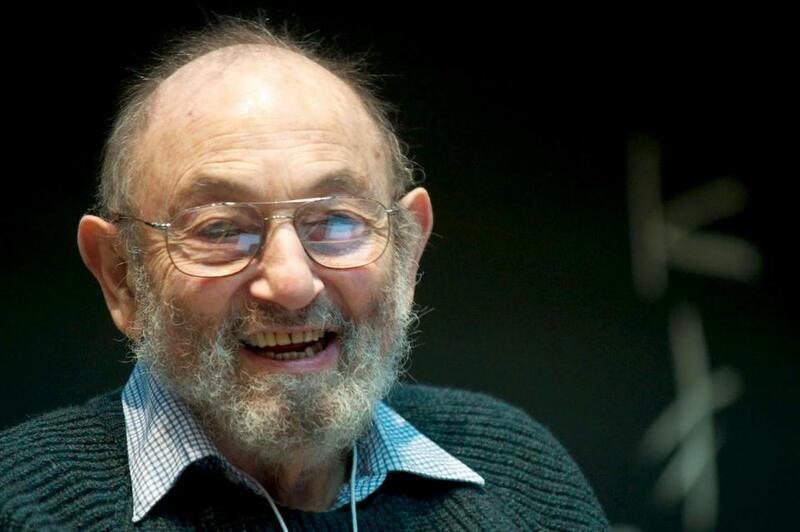 He helped found MIT’s linguistics program, one of the most important in the world, and played a key role in bringing to the faculty Noam Chomsky, who became one of the field’s most significant figures. The two had offices next to each other. “The book did for phonology (the study of the sounds of words) what Chomsky had done for the study of syntax: transformed it, formalized it, and to turned it from a mere collection of facts into a science,” Gary Marcus wrote in The New Yorker in 2013, when Dr. Halle turned 90. In the classroom, Dr. Halle “had an equally profound influence through his role as a teacher and mentor, and this personal influence has not been limited to students who follow closely in his intellectual and methodological footsteps,” Mark Liberman, a University of Pennsylvania linguistics professor, wrote in 2016 in the Annual Review of Linguistics. In keeping with Dr. Halle’s preference for rigorous intellectual challenges, his influence was “just as strong — or stronger — among researchers who disagree with his specific ideas and even his general approach, or who work in entirely different subfields,” Liberman wrote. Dr. Halle “was an epoch-defining figure in the history of modern linguistics — not only for his scientific contributions, which helped launch the modern era of our field, but also for his revolutionary approach to graduate education,” David Pesetsky, who is head of MIT’s linguistics and philosophy department, told MIT News. The older of two children, Dr. Halle was born in Liepaja, Latvia, a port city on the Baltic Sea that he usually referred to by its German name, Libau. He was a boy when his family moved to Riga, the nation’s capital. His mother, the former Lisa Kahan, was a teacher. His father, Irving Halle, was a businessman who began planning in the mid-1930s to move to the United States for economic reasons. Leaving in 1940, the family was spared what followed when the German Army invaded and killed nearly all Latvia’s Jews, including some of Dr. Halle’s relatives. In the United States, Dr. Halle attended City College of New York in New York City before leaving to serve in the Army. Because he spoke English, German, French, Russian, Latvian, Yiddish, and Hebrew, he was assigned to intelligence operations and was stationed in France. After the war, he went to the University of Chicago, from which he graduated with a master’s degree, without finishing a bachelor’s. Returning to New York, he began studying at Columbia University before following Roman Jakobson, a well-known linguist and literary theorist, to Harvard University, from which Dr. Halle received a doctorate. MIT hired Dr. Halle in 1951 to teach foreign languages and literature. He also worked in MIT’s Research Laboratory for Electronics, where he conducted acoustic research on the Russian language. Before meeting Chomsky, Dr. Halle helped hire his wife, the linguist and educator Carol Chomsky, who went on to teach at Harvard and who died in 2008. In 1955, Dr. Halle married Rosamond Thaxter Strong, an artist and activist who had graduated from the Massachusetts College of Art. They had three sons and lived in Newton and then in Cambridge. She died in 2011. “My parents were a mixed marriage,” their son Tim said with a chuckle. “My father was an Eastern European Jew, and my mom was a Yankee WASP.” Yet the match for them turned out to be ideal. “They really loved and understood one another,” Tim said. A service will be announced for Dr. Halle, who in addition to Tim leaves two other sons, David of Watertown and John of Red Hook, N.Y., and four grandchildren. “Students who worked closely with Halle recall that he was never satisfied with an idea if it failed to take into account the full complexity of human language,” Marcus wrote in The New Yorker. And students could always count on Dr. Halle to promptly lavish attention on any paper, thesis, or dissertation they turned in, said his son John, who teaches at Bard College Conservatory of Music.